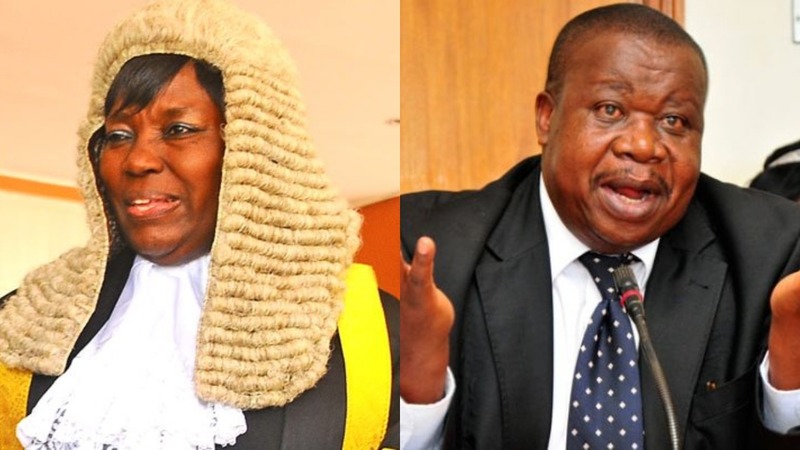 PARLIAMENT – The Speaker of Parliament, Rebecca Kadaga, has given the Minister of Justice and Constitutional Affairs, Gen.Kahinda Otafiire two months to table the electoral reforms and have the August House embark on responding to the 2016 Supreme Court ruling. It should be recalled that when former Premier, Amama Mbabazi dragged Government to court, seeking to have the election of President Yoweri Museveni annulled on ground that the elections weren’t free and fair, the Justices proposed a number of electoral reforms and called on Parliament to have the reforms finalised two years before the 2021 General elections. When the Minister was asked on how far Government had gone with tabling the reforms, Minister in his statement said the Treasury is yet to avail funds to kick start the Constitutional Review Commission that will look at a number of reforms, with electoral reforms inclusive. However, the Speaker rejected the Minister’s statement and proceeded by giving him two months to have the reforms tabled noting; “The review has nothing to do with this parliament, our concern is electoral reforms. It should be recalled that while appearing before the Legal and Parliamentary Affairs Committee recently to present the Ministry of Justice’s National budget framework paper, Minister Kahinda said that despite the fact that Justice Ministry is ready with electoral reforms, the Treasury is yet to avail the Shs13Bn for the Constitutional Review Commission that will also look into the electoral reforms.